As an academician, my tie with the education sector of our country is now for more than 40 years. I have always closely monitored how this sector has evolved through time. From the mid 80's, the gap between the number of students aspiring for higher education and the number of seats available in the public universities and institutes became evident. As a consequence the first private universities emerged in the early 90's. With the economic growth of the country this gap has become enormous in the recent years. It is well known that Government alone cannot provide higher education to everybody. Even in the developed world, private universities play a vital role in the higher education. In Bangladesh too, the private universities have started to play significant role in the education sector. But once again like all other sectors, almost all the private universities have been set up in and around the Capital City of Dhaka. Rajshahi City, historically known as the "city of education" has been fulfilling the need of higher education of the students of the North Bengal since long. But in the recent years the number of students has outgrown the capacity in such a way that the city is no longer capable of handling it with its old set up. In this context, the establishment of the North Bengal International University in the heart of the Rajshahi City will definitely play a very important role to improve the situation. 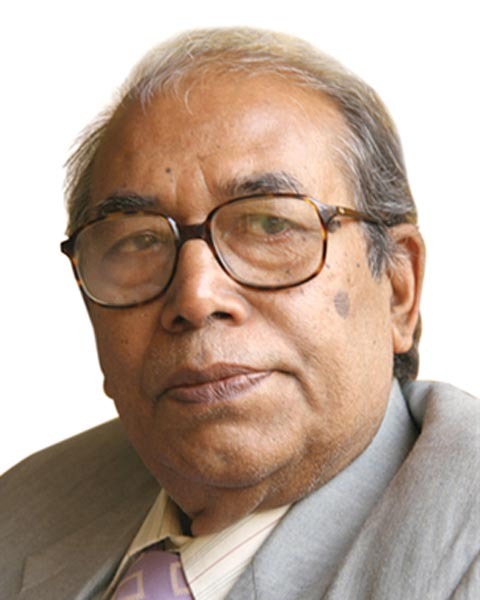 Having forty year long teaching experience and vast administrative experience as the Chairman of the Department of Bengali, Dean of the Faculty of Arts, Pro-Vice Chancellor and Vice Chancellor of the Rajshahi University, I find it a great opportunity to be part of a new venture where I will be able to disseminate the knowledge and experience I have gathered throughout my life. The goal of the NIUB is to become a centre of excellence in higher education from where the young students will learn the knowledge and skill necessary to face the challenges of the 21st century and play leading roles in the development of the country. At the NBIU, we are aiming at establishing a pool of excellent teaching staff comprising of both very experienced as well as young bright professionals. A modern and appropriate syllabus will be followed in imparting education to the students of this University. Research will be highly encouraged. Scholars and professionals of international repute will be invited to present papers/articles in seminars and symposia to be organized by the university on a regular manner. With all these efforts, we are committed to make the NBIU a university of international standard.